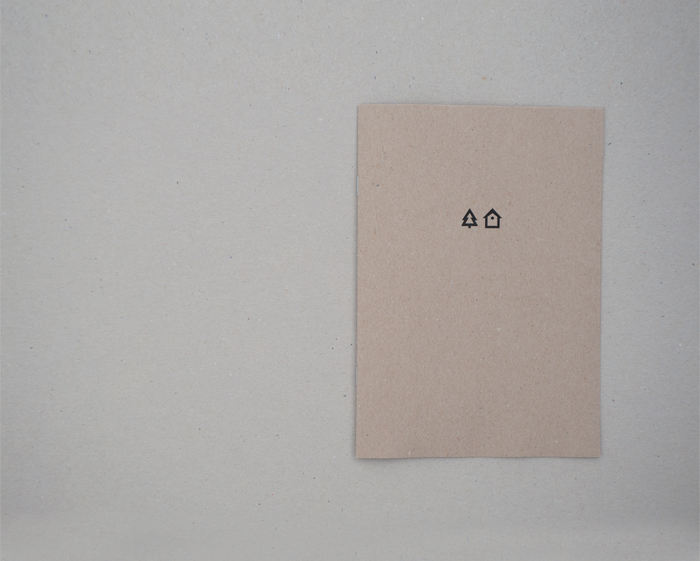 "This little zine was created when Sakura flew from the mountains in Japan to the city to spend the summer in Madrid. Days of exploring, cooking, talking and creating. 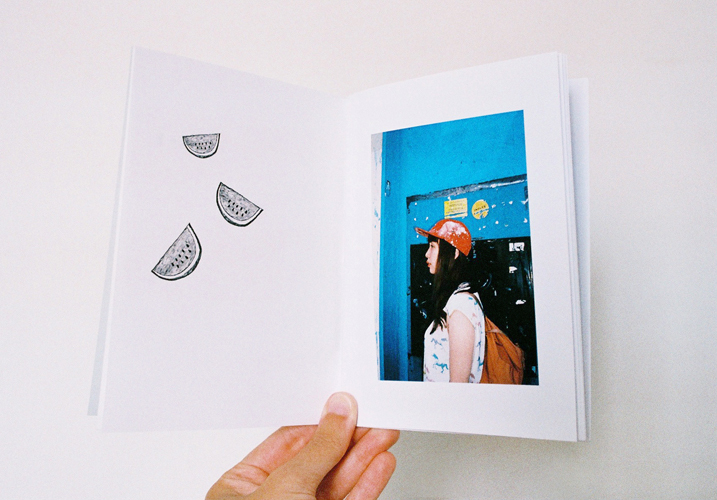 You can find my work with a 35mm camera and illustrations by the Japanese artist inspired in our summer days." "Why do I talk about these people? I do not know them at all. And on the ship almost all of them are foreigners, with faces on which are stamped many border crossings. They come from all over the world. And I know them all. Because the survivors always seek refuge in the islands." 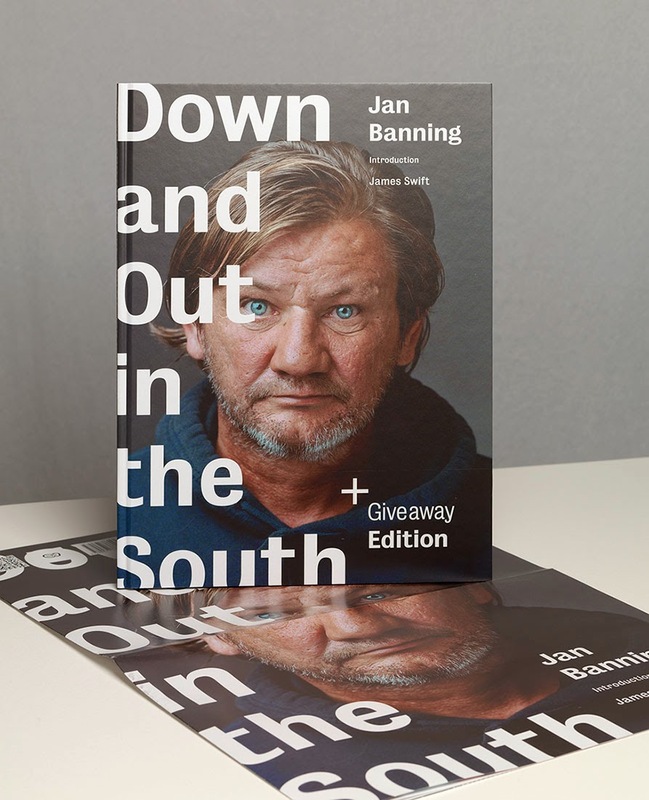 "In Down and Out in the South, Banning has photographed 42 homeless men and women in Atlanta, Ga.; Columbia, S.C.; and in the Mississippi Delta. Eschewing caricaturizing depictions, Banning places his subjects in a studio setting without their stereotypical belongings, focusing instead on their individuality — on who they are rather than what they are." "An ongoing obsession with caves, follies, grottoes and hermitages." 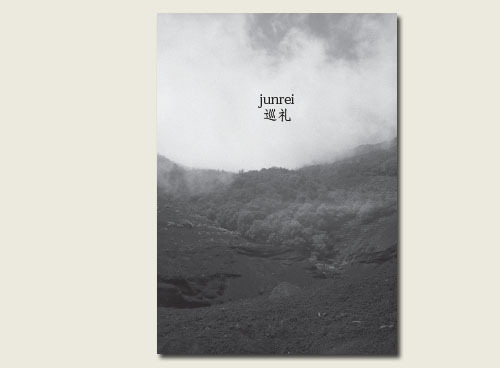 "Junrei (巡礼 / Pilgrimage)follows the loose narrative of a journey, both physical, from England to Japan, and emotional as a series of personal experiences following an innate gravitation towards Japanese culture. The series of fragmented snapshots hint at the process of travelling yet offer neither an indication of a final destination nor an explanation of anything achieved. 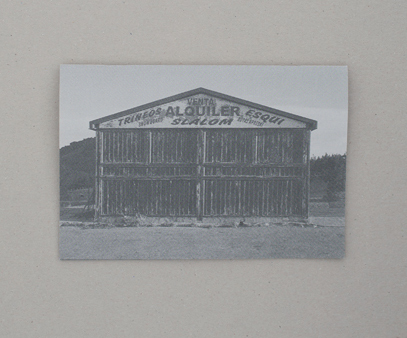 Dealing with the conflict between estrangement and comfort found in the isolation from the culture and places visited, the series is motivated by the spiritual pilgrimages common in the cultures represented." "Written by Ralph Eugene Lapp, a renowned Manhattan Project physicist, Matter was the inaugural title of the Life Science Library Series, published in 1963. 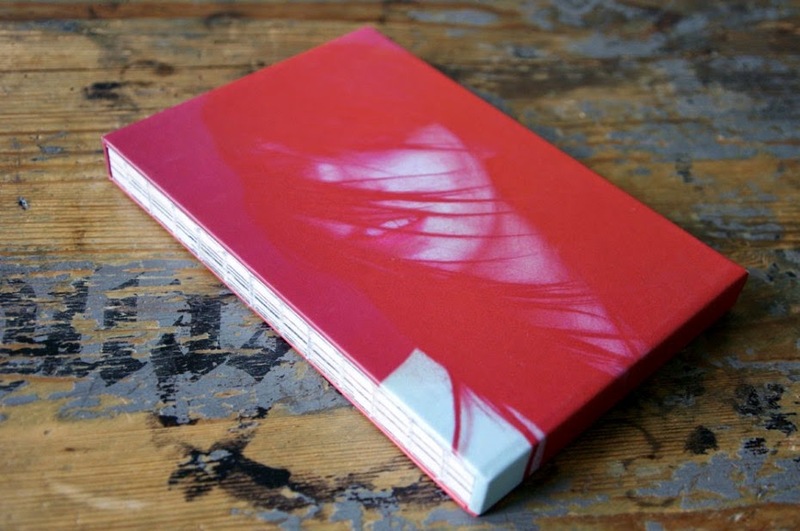 Utilizing the content of Lapp's Matter as a vessel for reinterpretation, a new book was created by utilizing the thematic arc of the original book to highlight photography's ability to illustrate ideas." "She said hello to me. 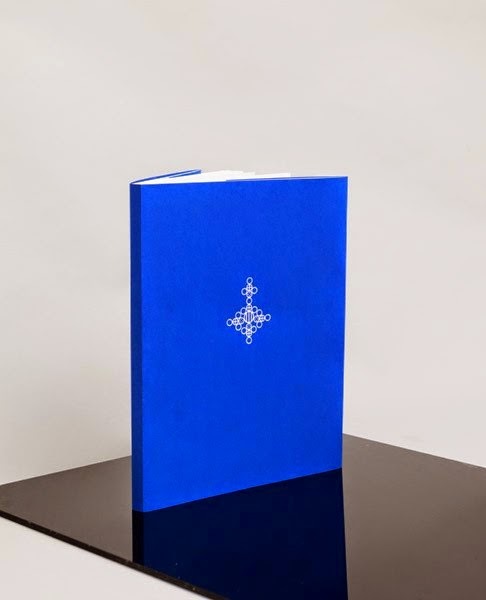 This book is made up of two elements. 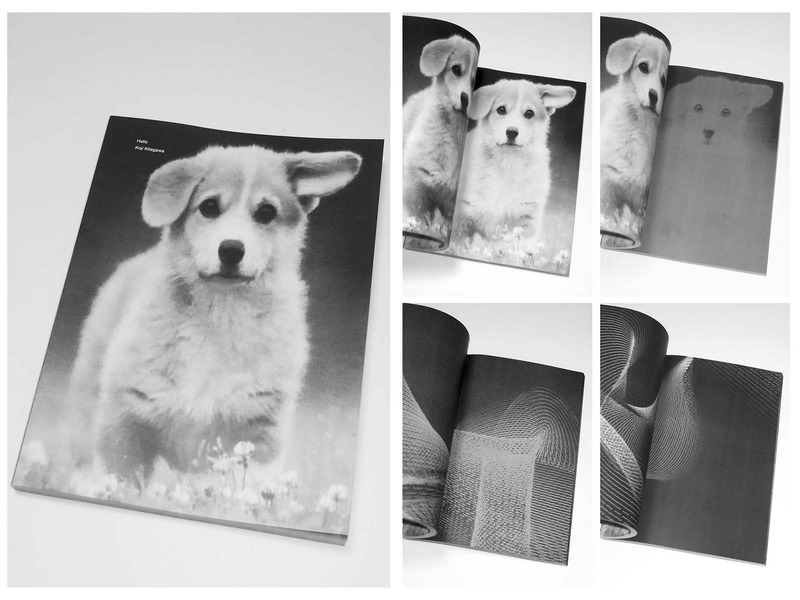 A variation of the dog, multiple visual screens." 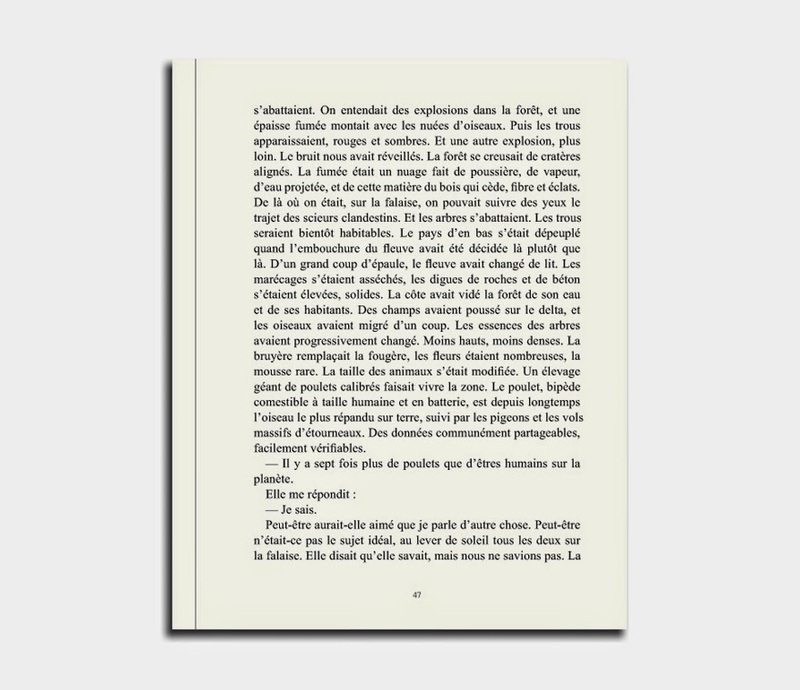 "-From one part to the other, the city seems to continue, in perspective, multiplying its repertory of images: but instead it has no thickness, it consists only of a face and an obverse, like a sheet of paper, with a figure on either side, which can neither be separated nor look at each other.- Italo Calvino, Invisible cities"
"Sierra Nevada National Park. Spain"
"That's all i know right now is just that, all that is now"
"Teddy Bear contains heavily rasterized reproductions, taken from a book on collecting stuffed animals. 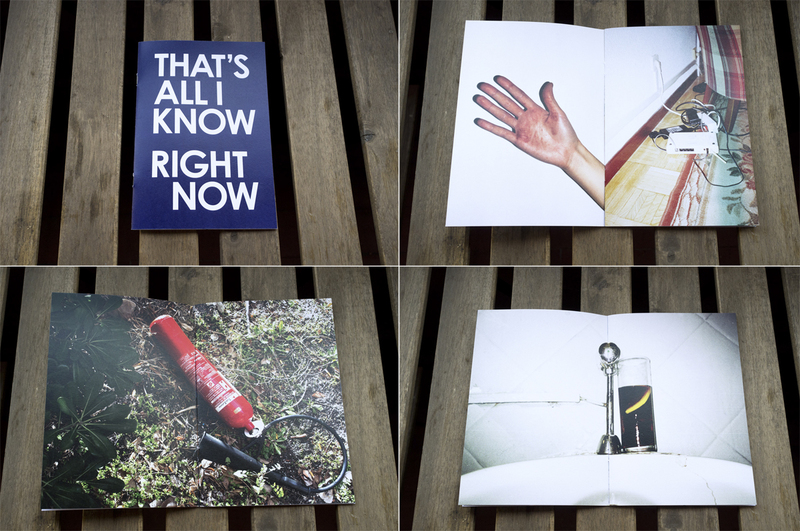 For those interested, you can get this zine together with a 20x30cm plastic bag, silkscreened in an edition of 50." 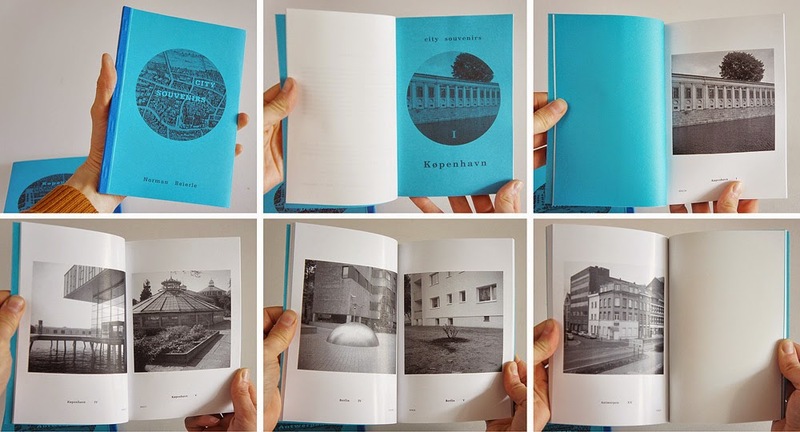 "City Souvenirs is an ode to books and maps with images about a specific region or city, which were popular during the twenties till fifties of the last century. I made my own, contemporary version of Copenhagen, Berlin, Antwerp and The Hague. Instead of collecting touristic hotspots, I stepped on my folding bike for a detour together with my old Rolleicord and some rolls of black and white film." "In less than 200 years man has altered life on earth forever. The Anthropocene is the new geological age, an age in which the human species has become the prevailing geophysical force dominating all other natural forces that have hitherto impacted upon the earth. (….) The fact that humanity has become the dominant force for the planet augurs the death of this idea of nature and, paradoxically, dissolves the frontier that has hitherto separated us from the natural world. Ours is now a world rid at last of the very idea of nature; a purely artificial world, innocent, fragile and hazardous. Eden is right here and now. To accept this idea is to accept a kind of serene jubilation before the enigmatic beauty of a world in decay." 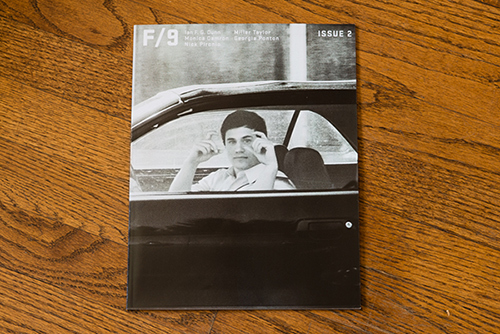 "Film 9 is a collective of photographers devoted to the analog process. On display are large format portraits of sons as they recount memories of their deceased fathers, images of the American West taken from a moving car, NYC street scenes, industrial landscapes, and portraits of summer seen through the lens of a disposable camera. Photos vary in style, content, and format, but all begin with an analog process." "to lose oneself in a city as one loses oneself in a forest"
"Moments with no beginning or end that are open to any interpretation.Moments where homes, cities, routes and people intertwine, intending to go further. 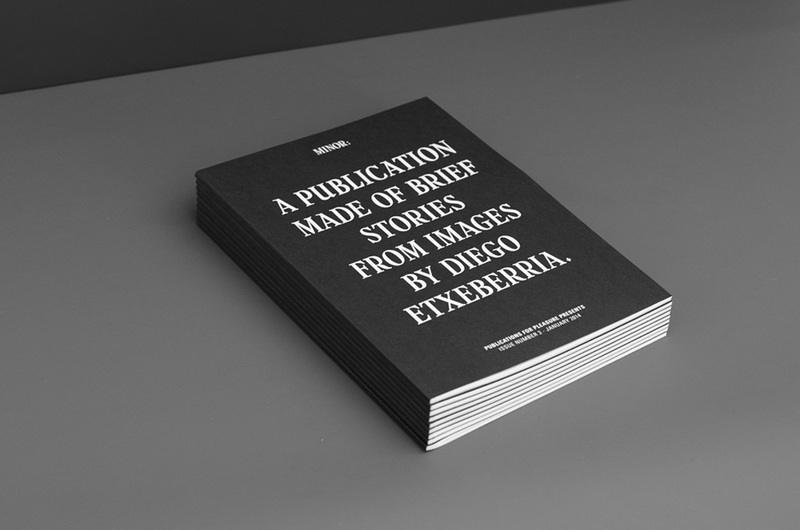 Minor is a staging of moments captured by Diego Etxeberria with his private collection of disposable cameras, and something more. An instant, two, three: a story." "'Turves' explores the world of greyhound racing and it's struggling to withhold mainstream appeal in todays society. 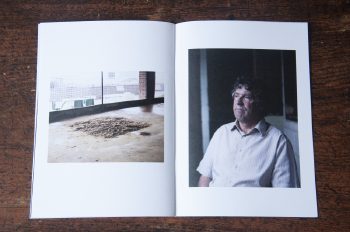 The project observes relationships between greyhound and trainer, offering something that exists beyond the track." 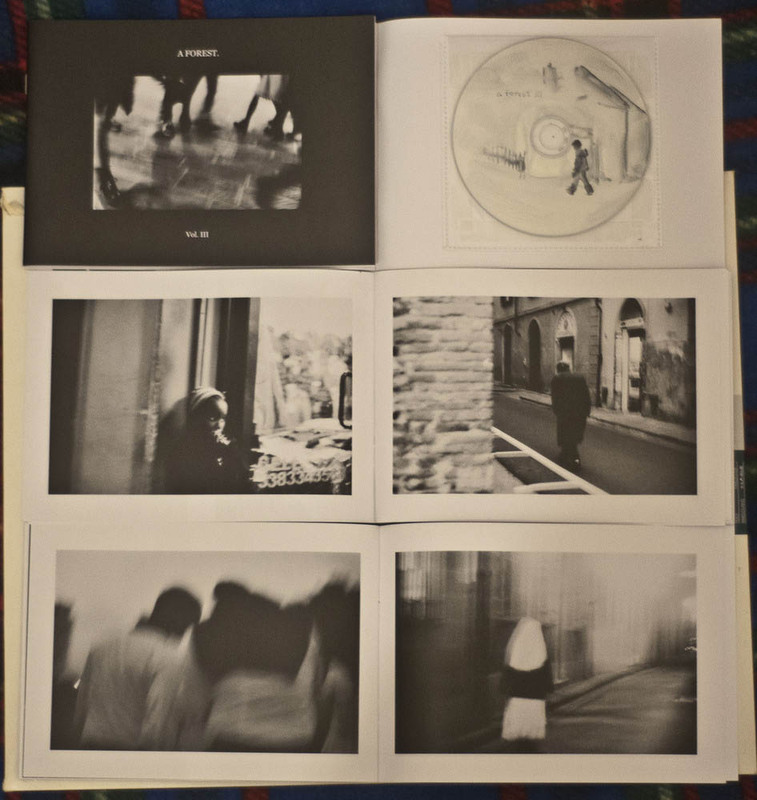 "Debuting at The Geffen Contemporary at MOCA for the 2014 Los Angeles Art Book Fair, Rome Alone is the first book in a new SSK Press project wherein one new photobook / zine will be published every month throughout 2014 featuring a collection of images created in various cities around the world. 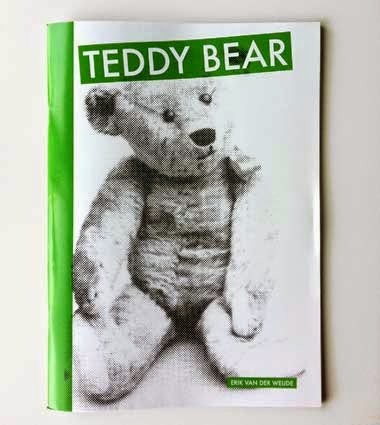 The pictures in this publication were taken on a two-week trip in Taiwan, the title being the same as a bootleg Home Alone sweatshirt found in a night market in Kaohsiung." 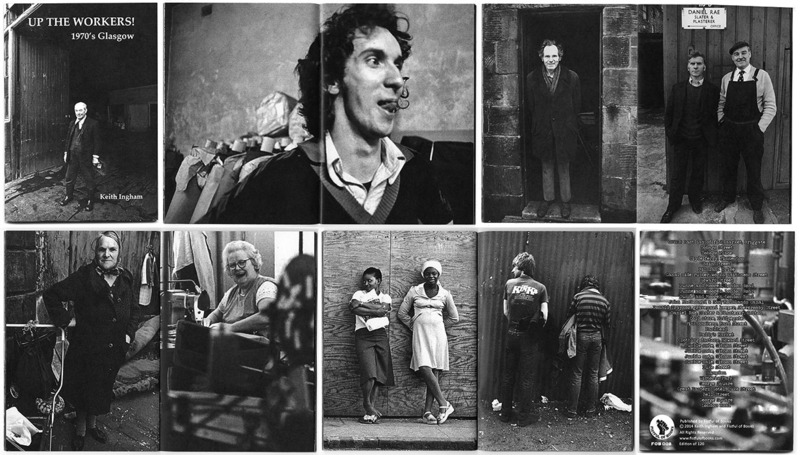 "‘Up The Workers!‘ features photographs of Glasgow and it’s people taken between 1976 and 1980. Keith Ingham was one of four photographers commissioned by The People’s Palace to photograph Calton, an area in the east end of Glasgow, which was about to go through major urban renewal."